SKU: Shock101-5. Category: Shock Data Loggers. 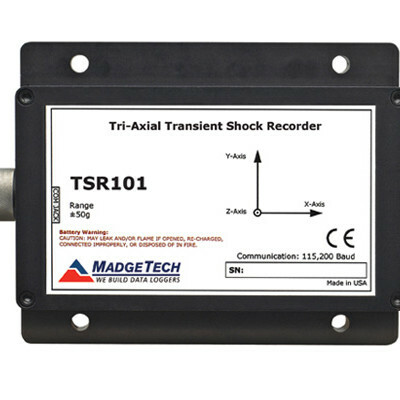 The Shock101 is a high speed, battery powered, stand alone, tri-axial shock data logger. 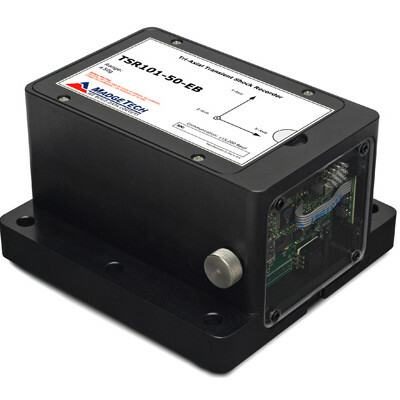 Continuously sampling at 512 Hz, this data logger writes the peak acceleration (g force) to memory at the user-specified reading interval. The Shock101 is specifically designed for documenting dynamic environments such as moving vehicles, trucks, containers, and ships. The device also characterizes environments such as production and assembly lines of delicate equipment, IC fabrication, communications and computer components. 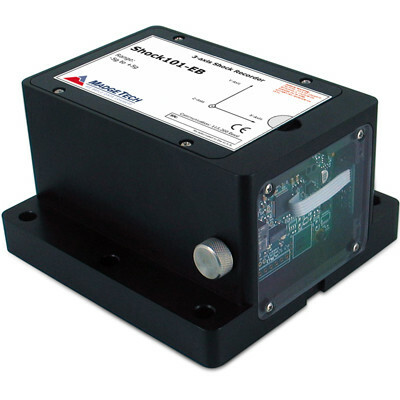 This is an all-in-one, compact, portable, easy to use device that measures and records data up to 349,525 measurements per axis. The storage medium is non-volatile solid state memory, providing maximum data security should the battery become discharged. 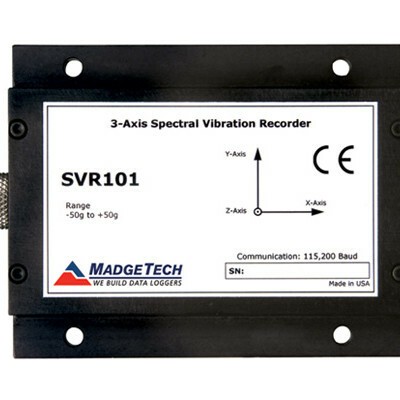 Data may be displayed for the three axes, or as calculated vector sums, providing overall acceleration and shock of the equipment or shipment being monitored. 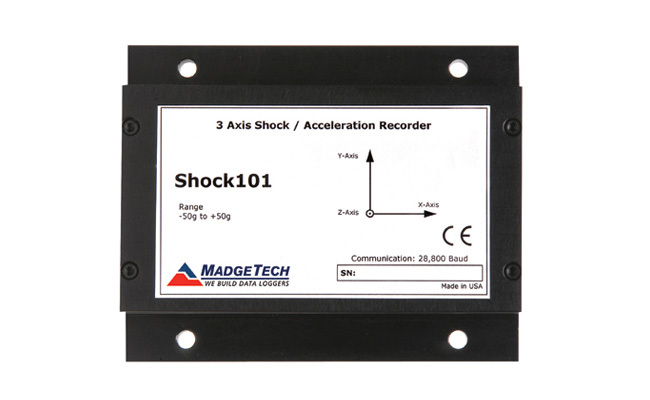 MadgeTech software provides a summary of statistics for average, minimum and maximum shock values. The device is available in four ranges ±5 g, ±50 g, ±100 g and ±250 g.